What does a Tory government mean for climate and energy? - Unearthed What does a Tory government mean for climate and energy? What does a Tory government mean for climate and energy? The day after the night before, and there are lots of questions over whether the Conservative majority means great news for the planet – or its inhabitants. In a disastrous night for the Liberal Democrats, strong voices on climate change like Ed Davey have been silenced. There was better news in Brighton, where Caroline Lucas increased her share of the vote significantly. With the Tories now in power, there are already calls from Labour peer Bryony Worthington to ensure that a climate sceptic is not allowed to head up the department of energy and climate change, after renowned climate sceptic Owen Paterson’s stint as the head of Defra. But what does this result mean for energy policy in the UK? With the Tories able to command a majority, fracking will get the go ahead, though it will be interesting to see how quickly the government is able to embrace the technique. On the campaign trail, Conservatives have been at pains to strike a conciliatory tone on the subject. David Cameron himself made a point to “reassure people there is no danger of some dash into technology without the safeguards in place and real pay back for local people”. It remains to be seen whether the cautious tone will continue now that the party has secured an surprising victory. Onshore wind, so long the bug bear of conservative middle-England, will effectively be scrapped, if the Tories election manifesto is to be believed. The absence of the Liberal Democrats from the new government, and parliament as a whole, will mean their vaunted idea for a Zero Carbon Britain Act will remain a pipe dream. The Tories commitments to renewables and emissions targets are weak. Their promise to insulate more than a million homes in the next parliament actually represents an 80% cut in the number of homes treated compared to the last parliament, according to statistics from the Association for the Conservation of Energy. While it is worth noting that in all their talk on renewables cutting emissions they repeat the line that such measures must be “cost effective”. Calls from Paterson to scrap the Climate Change Act are unlikely to heeded, though with Cameron only commanding a fragile government, he will still be vulnerable to the right-wing backbenchers that made his life so difficult while in coalition. 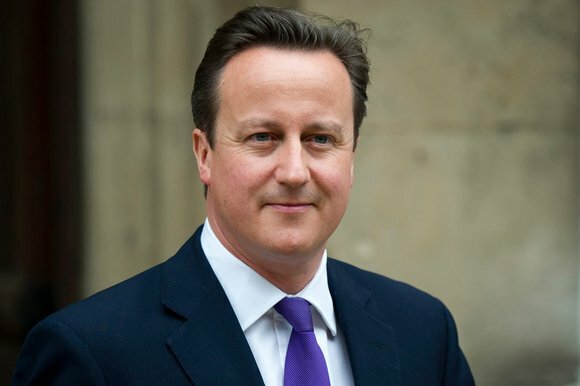 Without the support of Lib Dems, Cameron’s position may well be weakened. With a smaller majority, and no one to blame for watered down policies, Tory MPs could force Cameron to the right on issues, like climate change, where he puports to be liberal. To appease those backbenchers, Cameron has promised an EU referendum and that debate will monopolise much of the UK’s politics ahead. This will sap political energy away from the Paris talks. Ed Davey said before the election, that pushing a new referendum bill through Parliament concurrently with the Paris climate talks would be a “recipe for Britain’s voice on climate change being completely neutered and ignored”. This is because it will reduce the UK’s authority in the EU at a time when we will be negotiating as part of the European bloc at the Paris talks. The referendum could also create uncertainty over investment in the green economy. On the face of it, David Cameron – now PM for another term – has a veneer of leadership when it comes to international climate change politics. At last year’s Ban Ki Moon summit in New York he urged a global agreement in Paris in December, he signed a pledge to tackle climate change – and of course he’s posed with huskies and touted the “greenest government ever”. Former climate envoy to Cameron, Greg Barker claims that a stable Tory majority will help the PM be an advocate for climate action. The Tory manifesto, however, seems a little vague. It promised a they will “push for a strong global climate deal later this year – one that keeps the goal of limiting global warming to two-degrees firmly in reach”. No detail on how this will happen, though. Cameron may also be forced into an tricky and uncomfortable balancing act between the advice of the government’s climate change advisors, the Climate Change Committee and his climate sceptic backbenchers. This week saw the world surpass the 400 parts per million of CO2 in the atmosphere benchmark, and the CCC have stated clearly that global emissions should peak by 2020. A splinter of hope comes from the fact that Cameron is personally interested in the Sustainable Development Goals – and international development issues are hugely impacted by climate change. But will the loss of former Lib Dem energy and climate secretary and potential climate envoy Ed Davey be a massive blow to the UK’s climate leadership? Davey had a strong vision on international climate, pushing for an end to the UK funding international coal. He recently stated: “I want this year’s UN climate change negotiations to be the seminal moment when humanity faces up to these challenges [fossil fuels becoming stranded assets]. Richard Benyon, Amber Rudd, Matt Hancock and Nick Hurd could be picked for the role of climate envoy at the key Paris climate talks in December this year.